WHEN YOU QUALIFY FOR A PULL AHEAD AT HABBERSTAD BMW. Get into a new BMW sooner and out of your lease! We invite you to come in and experience our new BMW models. There’s no better time to take a fesh look at the Ultimate Driving Machine. We will pay up to 3 months of your remaining lease payments on your current eligible BMW* when you buy or lease a new 2017 BMW through BMW Financial Services. For the BMW 7 Series, we will pay up to 5 months of your remaining lease payments. What are you waiting for? Get into that new BMW faster and get rid of your remaining lease payments today! 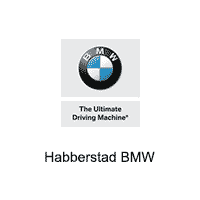 Please contact your Habberstad team at (800) 997-9313.